Hadley, MA–May 29, 2012— TNR Global announced they are entering into a relationship with California based Lucid Imagination, to help businesses and organizations improve search technology and functionality within their digital infrastructure. As part of the agreement, TNR Global will provide the option of Lucid’s products, training, and support services to their clients. Partners are selected for their deep technology expertise in web and search application development, and experience in market focus areas. While TNR will still remain search vendor “neutral” to provide a wide variety of technologies–both open source and commercial—to their clients, the relationship is a bold move in support of open source search.ce in market focus areas. “This relationship indicates our commitment to Apache Lucene/Solr open source search and other related embedded search applications,” said Michael McIntosh, VP of Search technologies for TNR Global. “We’re excited to have direct access to the core development team for Apache/Solr,” he continued. “Lucene/Solr has become a mature product and we’re confident in its performance for many applications, large and small. TNR Global’s executive team attended the Partner Summit at the Lucene Revolution Conference, a technology conference dedicated to the open source search technology built on Apache/Lucene Solr held in Cambridge, Massachusetts to learn about the latest LucidWorks Platform release and to meet the new CEO of Lucid Imagination, Paul Doscher. “We’ve attended Lucene Revolution conference in May as Gold Sponsors just after solidifying our relationship with Lucid. Further, we have recently published a definitive white paper on the topic of migrating from a commercial search engine to Lucene/Solr. We feel very confident, well positioned, and supported in the marketplace to handle projects of any scope,” said Karen E. Lynn, Director of Business Development for TNR Global. Hadley, MA–March 26, 2012 TNR Global announced today that they will be sponsoring the Lucene Revolution Boston this year held at the Royal Sonesta Hotel in Cambridge, MA. The conference, which is the largest conference dedicated to Apache Lucene/Solr open-source search technology community, is in it’s 3rd year. TNR has sponsored the conference beginning in 2010. The conference will attract 400+ attendees and will offer training, presentations, trade show, and opportunities to socialize with the vibrant Lucene Solr community. TNR invites all attendees to stop by the conference table to sign up for the free White Paper on one of our primary focuses: Migrating from Fast ESP to Apache Lucene Solr. Meet one of the authors of the paper and discuss the ways Lucene Solr can power search in the organization. Representatives from TNR will be on hand to meet, chat, and discuss the many advantages of Solr for search. “We’re looking forward to meeting others in the Solr community. We expect the conference to be one of the high points of our year.” said Lynn. TNR Global is a proud sponsor of the second Lucene Revolution conference, which will be held on May 25-26th in San Francisco, CA. Lucene Revolution 2011 is the largest conference dedicated to open source search, focusing on Lucene/Solr, and will include technical sessions, developer content, user case studies, panels, and networking opportunities. Download the presentation and see the video. Michael McIntosh, Vice President of Enterprise Search Technologies at TNR, spoke at the Lucene Revolution conference in Boston, MA October 7-8, 2010. Michael reviewed the migration from Fast ESP to Lucene/Solr open source search. He discussed approaches to identifying core content areas of HTML documents such as Text-To-Tag Ratio Heuristics and Page Stereotype/Site Template Analysis, and reviewed specific use cases that we have encountered as search integration experts and discuss available tools. Michael McIntosh, Vice President of Enterprise Search Technologies at TNR, will be presenting at the Lucene Revolution conference in Boston, MA October 7-8, 2010. Michael will review the migration from commercial search platforms (focusing on Fast ESP) to Lucene/Solr open source search. He will discuss approaches to identifying core content areas of HTML documents such as Text-To-Tag Ratio Heuristics and Page Stereotype/Site Template Analysis, and will review specific use cases that we have encountered as search integration experts and discuss available tools. 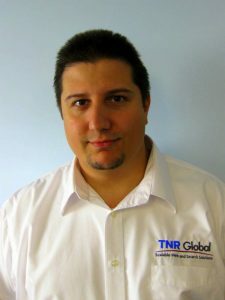 TNR Global has been selected to present at the Lucene Revolution conference in Boston, MA October 7-8, 2010. Michael McIntosh, Vice President of Enterprise Search Technologies at TNR, will speak on Friday, October 8th regarding the migration from commercial search platforms (focusing on Fast ESP) to Lucene/Solr open source search. He will discuss approaches to identifying core content areas of HTML documents such as Text-To-Tag Ratio Heuristics and Page Stereotype / Site Template Analysis, will review specific use cases that we have encountered as search integration experts and discuss available tools. Lucene Revolution is the first conference dedicated to open source search in North America. The two-day conference is packed with technical sessions, developer content, user case studies, panels, and networking opportunities. Attendees will learn new ways to develop, deploy, and enhance search applications using Lucene/Solr. For more information, and to register, visit http://www.lucenerevolution.com.